Climate: Temperature between 26°C (79°F) in the winter to 30° (86°F) in the summer. Water Temperature is around 27°C (80°F). Light rain in Mai and September/October. Hurricane Season between August and October. Cap. Henry Morgan was a British privateer of Welsh birth, who made a name in the Caribbean as a leader of buccaneers and roughnecks. 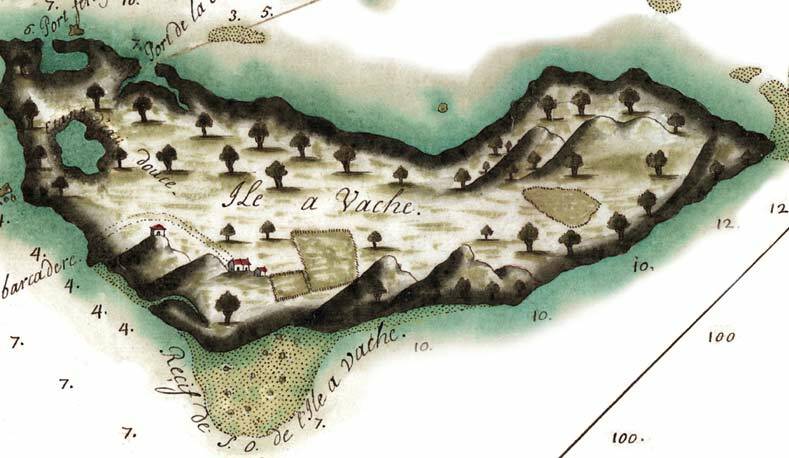 He set Ile-a-Vache as a base in 1668 to attack the Spaniards fearing an attack upon Jamaica. His main ship the Oxford exploded killing 300 of his 900 men. A privateer was a private ship (or its captain) authorized by a country's government to attack and seize cargo from another country's ships. Bernard Kock, a British citizen had the grand plan for colonizing Ile-a-Vache (Cow Island), Haïti with 5000 black american slaves. Letter from Bernard Kock to Abraham Lincoln requesting the colonization of Ile-a-Vache.